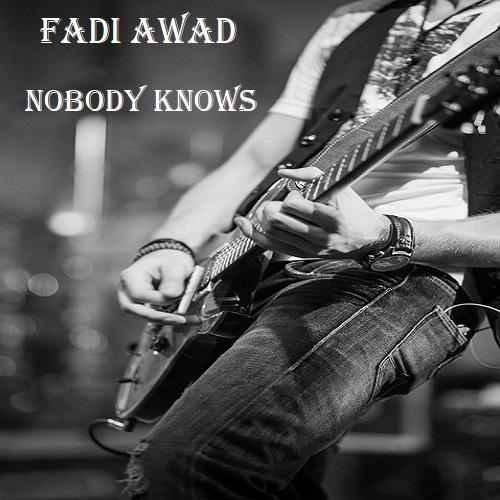 It was many years ago since The Multi-Awards Winner Artist Fadi Awad has released his latest Rock project, and now, he composed a wonderful distinguished new song and releasing it as a single on 28-05-2018… This single is called “Nobody Know”!… Like many of Fadi’s songs, this song is performed by one of his private band’s singers, but contains something really huge, different, and advanced: A philharmonic prestigious intro that is probably one of Fadi’s favorites so far! Classical, decent, and huge! While you’re hearing it, you feel yourself in a big historical movie before the wonderful sound of the electric guitar takes you to the middle of a Rock concert stage and fill your head with beautiful melodies and singing all the way!… “I could have worked more inside it but I didn’t want the original version to cross the 5 minutes period of time” said Awad, “especially that other mixes may follow too”. “We have 3 good releases this year to submit basically for The 61st GRAMMY AWARDS: “The King”, “Nobody Knows”’, and a third wonderful dance project that will hit the Summer, and which we will announce about soon. We hope to achieve better results this year”… “Nobody Knows” will be premiered on JJKane top Rock Radio Show that is played on 3600 radio stations including “Radio One” (UK), “Hotdisc Radio”, “College Underground Radio”, “Station Chicago”, “Station Los Angeles”, “Station Toronto”, and much more… Fadi, who is also doing a lot of good and hard work inside The GRAMMY ADVOCACY to enhance the situation of The Music Artists, thanks as always his wonderful beloved supporters for their continuous support, promising them to always do his best, while hoping for the best!